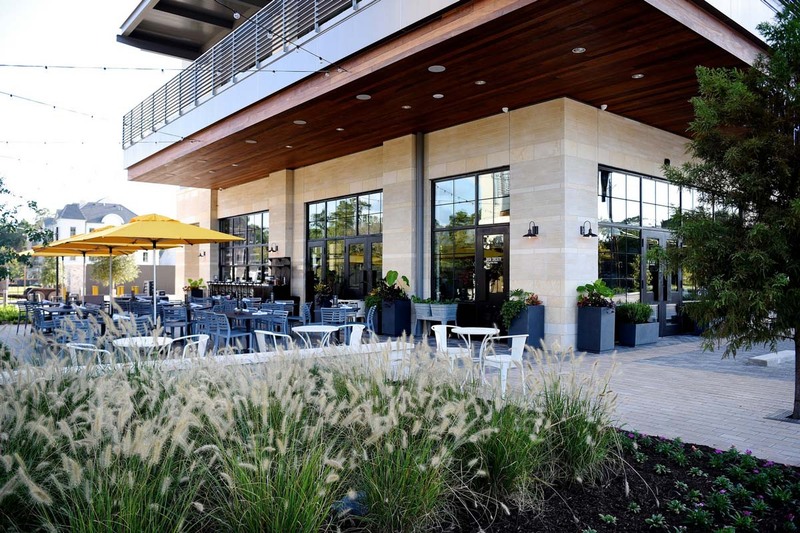 Casual eatery Dish Society has new digs to haunt, this time in mixed-use development Memorial Green not far from the junction of I-10 West and Beltway 8 on Houston’s west side. At 4,000 square feet (and boasting a 1,300-square-foot pet-friendly patio complete with umbrellas and twinkling lights) it’s the biggest and fanciest location to-date. 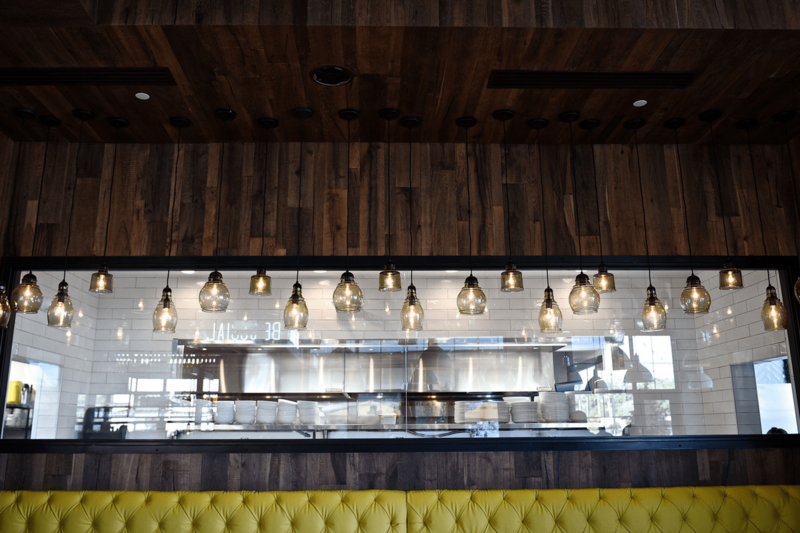 As is the case at the Galleria and Katy locations, the new place serves as much farm-to-table cuisine as possible. Seventy-five percent of the ingredients are produced in Texas and are used in sandwiches, salads, entrees and desserts. Favorites dishes from other locations, like the brisket-stuffed sweet potato, shrimp and grits and Slow Dough pretzel bites with smoked gouda queso are on the menu, but diners may wish to make room for new offerings (available at all locations). The seasonal bruschetta is a new starter and currently features fresh fruit atop goat cheese, drizzled with balsamic reduction then topped with fresh mint and basil. The fruit may be strawberries, blackberries or peaches, depending on what is in season. Another new dish, the vegetarian tacos (which come two per order), combines slightly crunchy roasted balsamic Brussels sprouts, cabbage and pickled red onion with tart crème fraiche and cotija cheese. It’s flavorful enough to tempt even diehard carnivores. 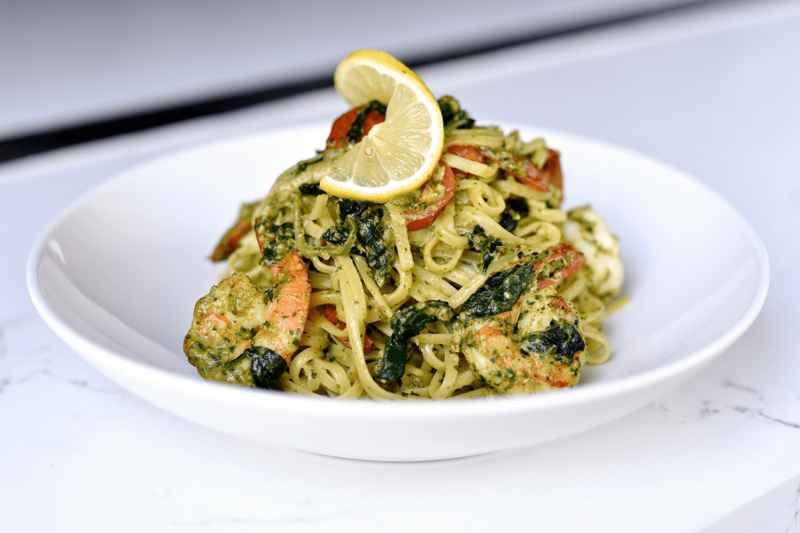 Entrees remain essentially the same, aside from the new Texas pecan pesto pasta tossed with housemade pecan pesto, plus spinach, grape tomatoes and Parmesan cheese. Chicken and shrimp are available add-ons at $4 and $8, respectively. 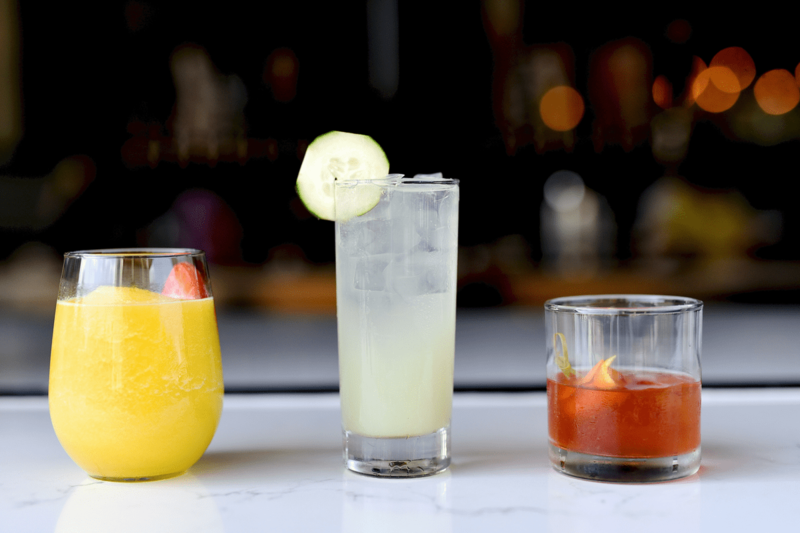 The weekday “Social Hour” from 3:30 p.m. to 6:30 p.m. is a great time to visit for discounts on select starters and drinks. Two whiskey-forward, classic New Orleans cocktails are now on the drink list: Sazerac, an amber concoction of Bulleit Rye Whiskey, Peychaud’s bitters, cane sugar and legal absinthe served neat and Vieux Carre, which showcases Bulleit Rye Whiskey, cognac, sweet vermouth, bitters and Benedictine. Organic wine, local beer and craft cocktails anchor the rest of the adult-beverage selection while Greenway Coffee, housemade juices, artisan soft drinks and kombucha expand the non-boozy options. No time to dine onsite? Dish Society offers takeout, catering and works with third party delivery services like Favor and DoorDash. Memorial Green joins locations at 5740 San Felipe in the Tanglewood/Galleria area and 23501 Cinco Ranch Boulevard in Katy, with two additional openings planned for 2018.